On Monday, Jan. 28, the Houlton Rotary Club hosted Jesse Pettengill, who provided an overview of the ACAP Restorative Justice Program, an alternate approach to the traditional justice system. 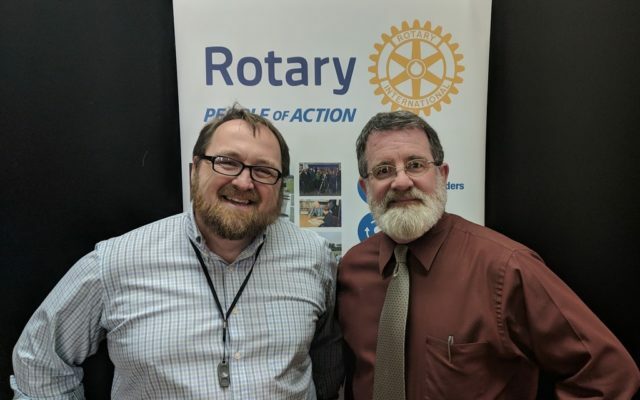 HOULTON, Maine — On Monday, Jan. 28, the Houlton Rotary Club hosted Jesse Pettengill, who provided an overview of the ACAP Restorative Justice Program, an alternate approach to the traditional justice system. Restorative Justice focuses on repairing the harm caused by criminal behavior and importantly includes the people affected by the crime to participate in the resolution. Pettengill described that the program is targeted towards minors that have committed non-violent offenses, and when there is agreement between both the victim and the offender to participate. Restorative Justice sessions aim to be completed within three months — significantly less than the length of the traditional justice system — so that crime and restorative actions taken by the offender are closely linked. The process involves input from multiple parties: the victim, the offender, relatives or guardians, law enforcement, and mentors, such as a school coach or teacher who interacts with the offender on a regular basis. The team meets to discuss the offense, how it affected the victim, and what can be done to make amends. A plan is created jointly, and all parties sign an agreement committing themselves to the action plan and desired goals. One example given by Pettengill was of a shoplifting crime that happened at the Marden’s of Houlton. The store manager was part of the Restorative Justice group and explained that Marden’s is a profit sharing company, and stealing does not just affect the impersonal corporation, but also the individual employees. Through the Restorative Justice Program, both the victim and the offender came to understand more about each other and help put the situation and the consequences in context. Pettengill said that the program has had great success since it started in Aroostook County, with a recidivism rate of 7 percent and a victim satisfaction rate of 95 percent.